On April 9, Gold Ridge RCD was presented with the an award in the category of Resource Conservation at the Green California Summit ’s Leadership Award for its Climate Change Resiliency for Agriculture program. 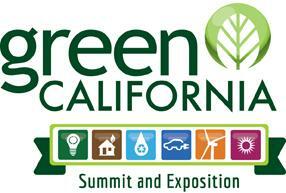 The Green California Summit's Leadership Award Ceremony is an opportunity to highlight and celebrate successful public sector projects implemented in California. The Gold Ridge RCD's carbon farm planning, healthy soils, water conservation and alternative water sourcing programs and have been instrumental in preparing western Sonoma County farmers for climate change. Thank you to the Green California Summit for this recognition, and hats off to all the state's RCDs, which are working so hard to protect our incredible natural resources. Two projects seek to remove two concrete dams spanning lower Green Valley Creek. In additional to dam removal, the projects will also install large wood structures to improve fish passage and rearing for juvenile and adult coho salmon and steelhead trout. Green Valley Creek is a tributary to the Russian River, confluencing with the river in Forestville, CA. The project will complete 100% engineered designs and water rights change petitions for a water conservation project to address diversion of both surface and spring water from Redwood Gulch, a tributary of Dutch Bill Creek, for both potable and non-potable uses at the Alliance Redwoods Conference Grounds. Dutch Bill Creek is a tributary to the Russian River, confluencing with the river in Monte Rio, CA. Altogether, these awards are expected to amount to just over $495,000. Statewide, the department awarded $13.9 million in funds for anadromous salmonid restoration projects. CDFW has funded numerous projects for improving and monitoring salmonid habitat in Salmon Creek and tributaries to the Russian River since the effort to protect and restore salmonid fisheries began in the 1990s. These funds are critical to support salmonids in their continuously changing environment. According to CDFW, "The 38 approved projects will further the objectives of state and federal fisheries recovery plans, including removing barriers to fish migration, restoring riparian habitat, monitoring of listed populations, and creating a more resilient and sustainably managed water resources system (e.g., water supply, water quality and habitat) that can better withstand drought conditions. These projects further the goals of California’s Water Action Plan and CDFW’s State Wildlife Action Plan, as well as addressing limiting factors specified in state and federal recovery plans." We apologize for the cancellation of this event. We are investigating options for scheduling a similar event in its place. Keep in touch for news on future events and workshops. Join Napa County RCD in a workshop focused on improving the soil health of Napa County vineyards. Learn the basics of soil health and what that means for vineyard productivity, sustainability, and resiliency to climate change. Training topics: Science of soil health; interpreting soil health indicators; practices that improve soil health; p anel discussion featuring local growers’ perspective on soil health; North Coast Soil Health Hub, and field demonstration of soil sampling techniques. Registration includes lunch and a field tour. To RSVP, contact Anna@NapaRCD.org. The Gold Ridge RCD and its Regional Conservation Partnership Program partners are pleased to announce an open enrollment period for submitting applications to the USDA's NRCS for an agricultural conservation easement. For information on entity, landowner, and land eligibility, and application materials for ACEP-ALE, including the Ranking Criteria, visit the Sonoma County Venture Conservation Partnership web page . The application deadline is April 30, 2018. CAFF, Read it online here . Contact Adriana@goldridgercd.org for a hardcopy. Forestry Workshop: What kind of professional to hire for wha t? Support the North Coast Resource Conservation and Development Council in the Human Race !